To provide an environment of academic freedom for students and teachers along with a unique model of education that develops skills and internalizes the knowledge processing. To raise individuals who are academically successful, lifelong learners having ethical and aesthetic values, responsible for the era they live in and able to utilise their knowledge and abilities.
? 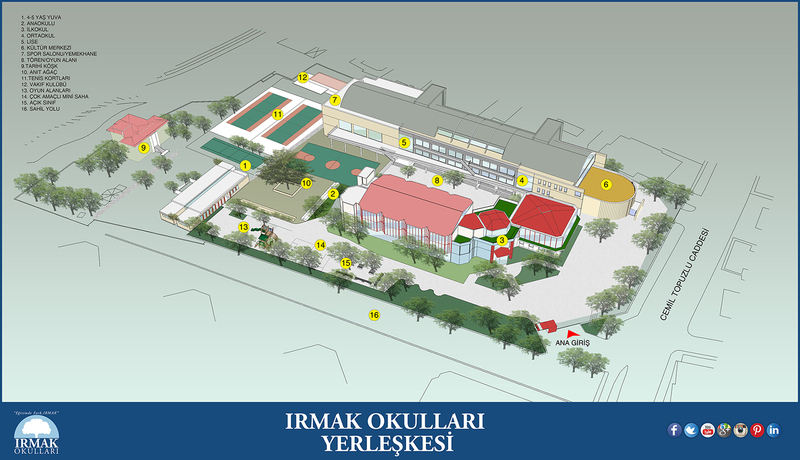 Mutual love, respect and trust are the basic principles at Irmak Schools.
? Irmak Schools consider the student, who learns and produces as an essential part of universal development.
? Knowledge is acquired through inquiry and produced by realting with life at Irmak Schools.
? Irmak Schools know each student well and provide suitable environments to develop their own skills.
? Irmak Schools, together with all the stakeholders, adopt the understanding of a continuously learning and developing school. This page was created on 5.11.2018 09:06:13 and has been visited 2387 times.